Fashmates has put together a simple-to-use feature that will restore users’ years of content work. With this feature, Polyvore users are able to quickly upload their Polyvore “sets” and profile onto Fashmates. After the recent and shocking shut down of Polyvore many of its 20 million users were devastated that they no longer had a place to share their love of fashion and design. 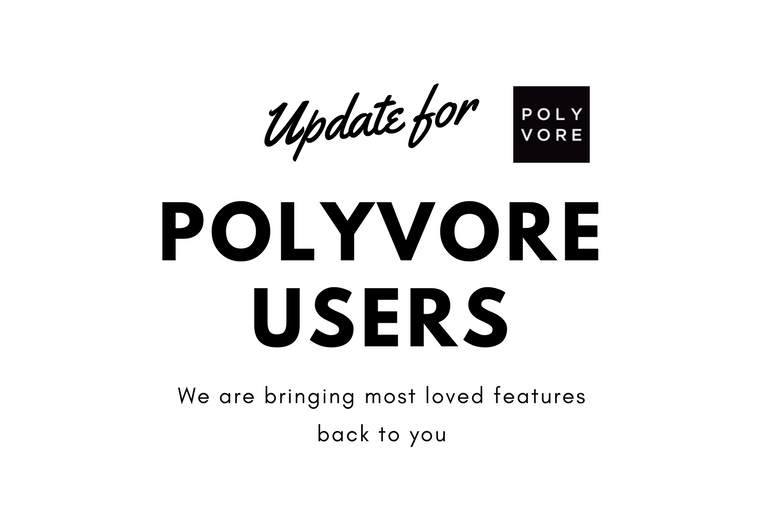 One of the ways Fashmates is supporting Polyvore users is with the redesign of their website. No sooner had the news been heard, then the team at Fashmates got busy and created a user friendly console for all Polyvore users. When you visit Fashmates you will see the banner that invites Polyvore visitors to register, which is free, and import their sets. Once your sets have been upload and transferred to the Fashmates site, all you have to do is get started designing and sharing all that work you originally had on the Polyvore site. Fashmates has gone out of its way to ensure that the Polyvore community is looked after, and supported through these difficult times.